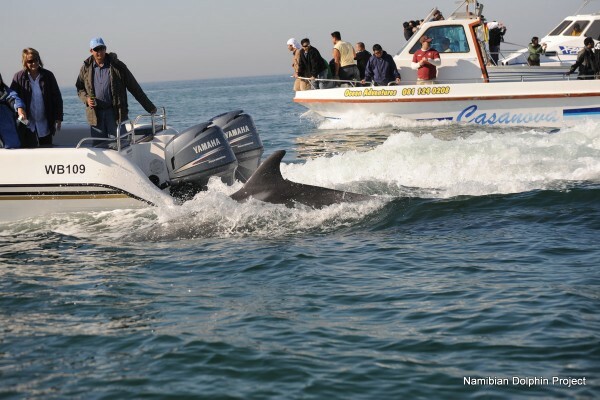 Two species of bottlenose dolphin are found in the southern African subregion, the common bottlenose dolphin (Tursiops truncates) which occurs world wide in tropical and temperate waters and the Indo-Pacific bottlenose dolphin (Tursiops aduncus) which occurs in large schools in the warm, nearshore waters east of Cape Town and throughout the Indo-Pacific region. 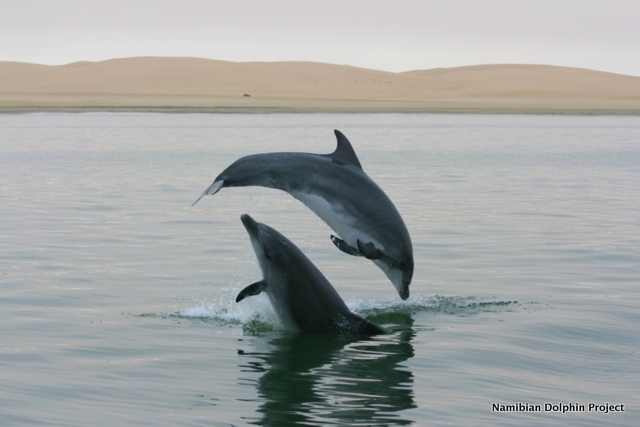 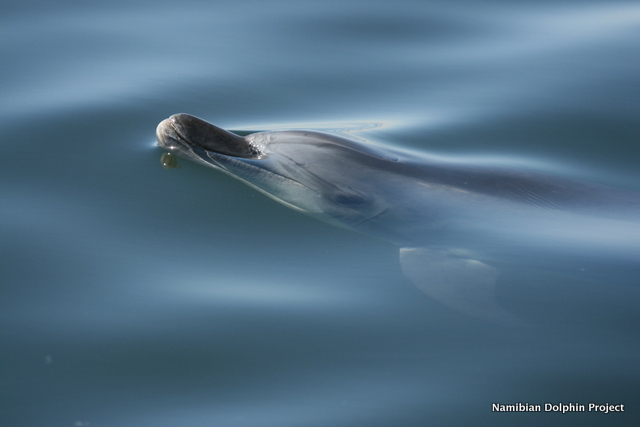 The population of bottlenose dolphins which we see in Walvis Bay and central Namibia is of the species Tursiops truncatus, or common bottlenose dolphin. 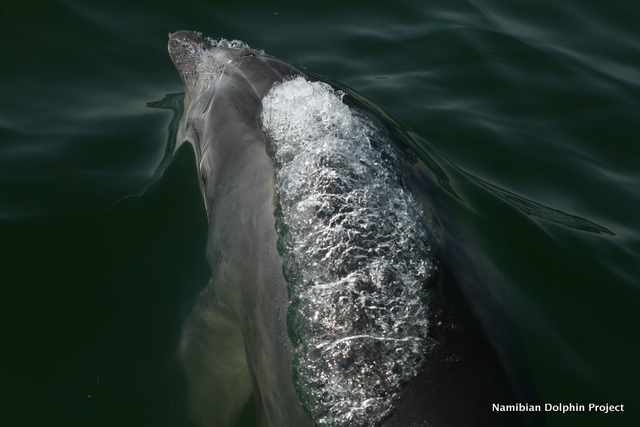 This population is unique within southern Africa and is the only inshore population of common bottlenose dolphins south (and east) of Angola and is a different species to the animals commonly seen off Kwa-Zulu Natal or the Eastern Cape. 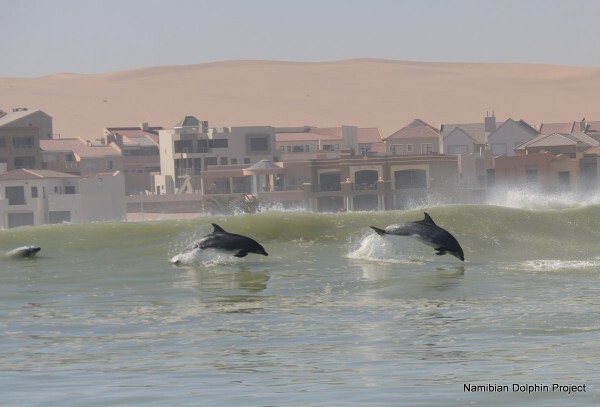 The animals in Walvis Bay have a relatively large body size compared to other populations of bottlenose dolphins, and can grow to over 3.5 meters in length (The Indo-Pacific bottlenose dolphins of eastern SA only grow to about 2.5m long). 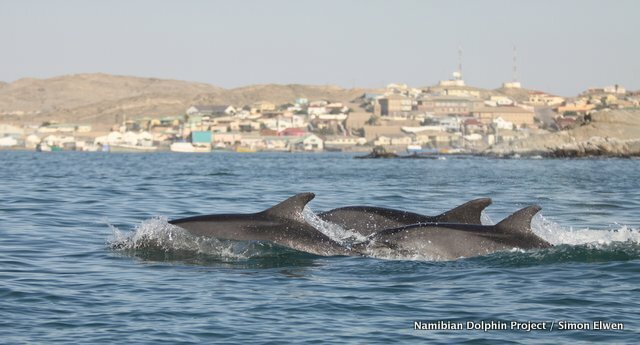 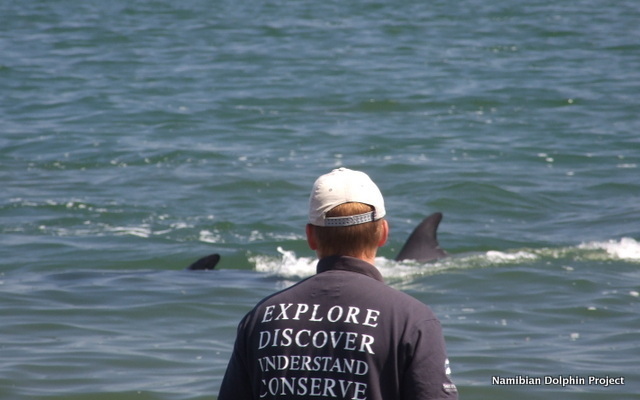 Coastal populations of common bottlenose dolphins are often small in number and resident, and Walvis Bay is no exception. 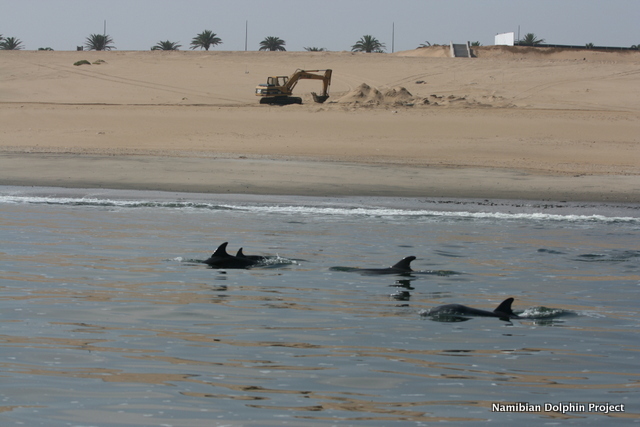 Here the population numbers less than 100 individuals making them susceptible to natural and man-made threats including interactions with fisheries, coastal degradation, marine tourism and harmful algal blooms. 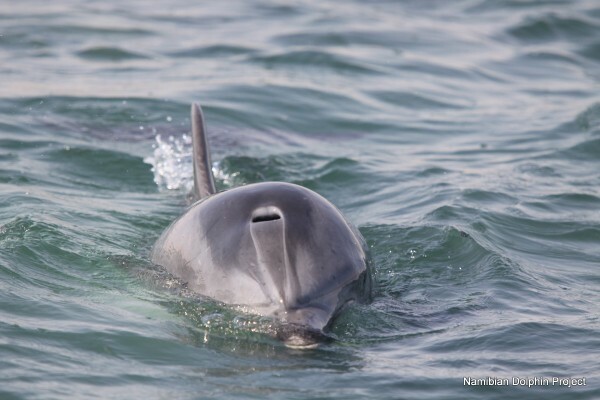 Longitudinal studies in captive and wild populations have shed light on the life history and behaviour of bottlenose dolphins which display a fission-fusion social structure with long term, individual based associations lasting decades. 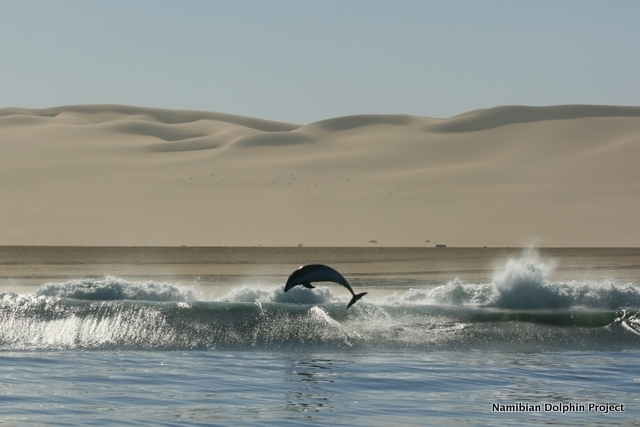 They are feeding generalists and in Walvis Bay are regularly observed feeding in association with Cape fur seals.